1. 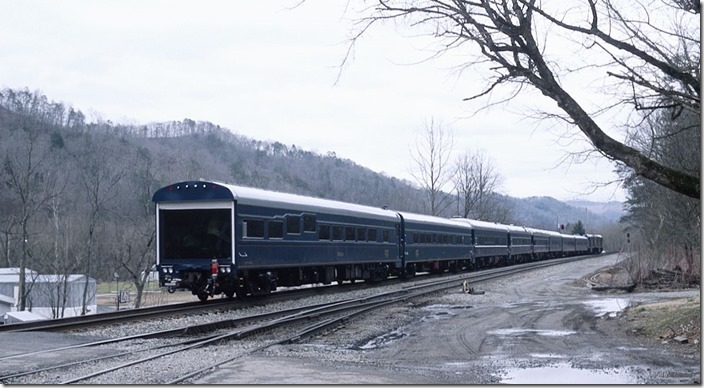 Eastbound office car train P955-27 arrives Shelby on 02-27-2013. Track observation car 994318 “Georgia” brings up the rear. The special paused at Shelby for a couple of hours for lunch (?). 2. 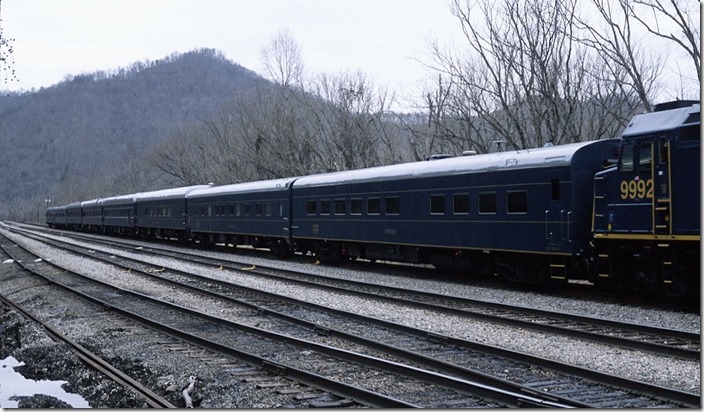 P955-27 behind 9998-9992 departs Shelby with eight cars. 02-27-2013. 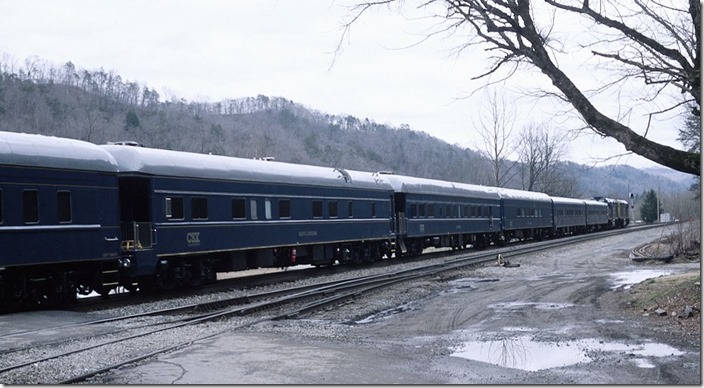 3. Business cars “Kentucky”, “Youngstown” and “Mississippi.” are the first three. 4. 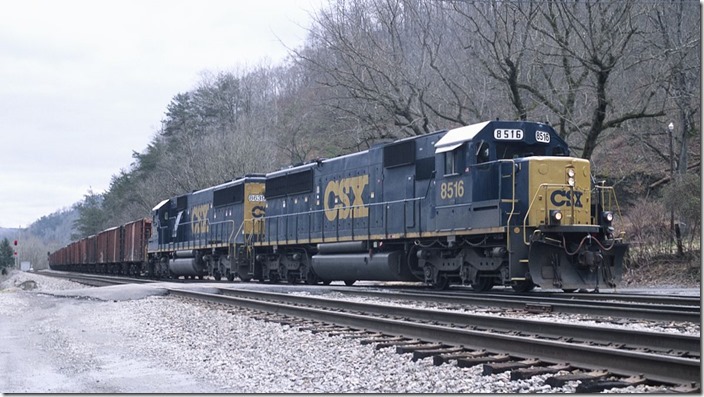 “North Carolina”, “Waycross” and “Mississippi” are in the consist. 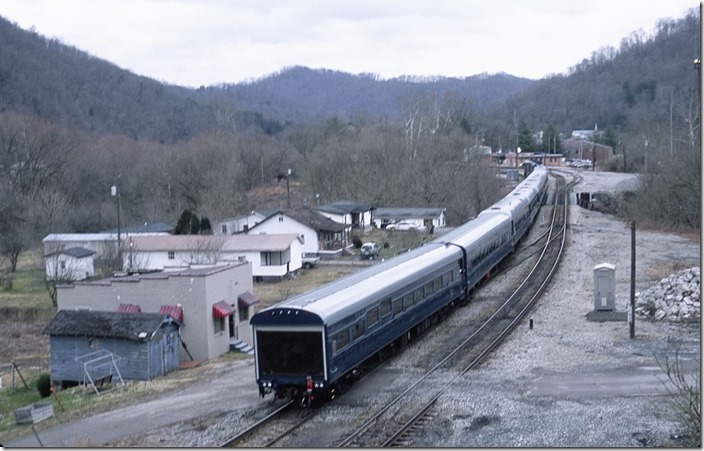 I photographed Youngstown, and Waycross on the Santa Train. 5. “Georgia”, “Ohio” and “Baltimore” bring up the rear. 6. 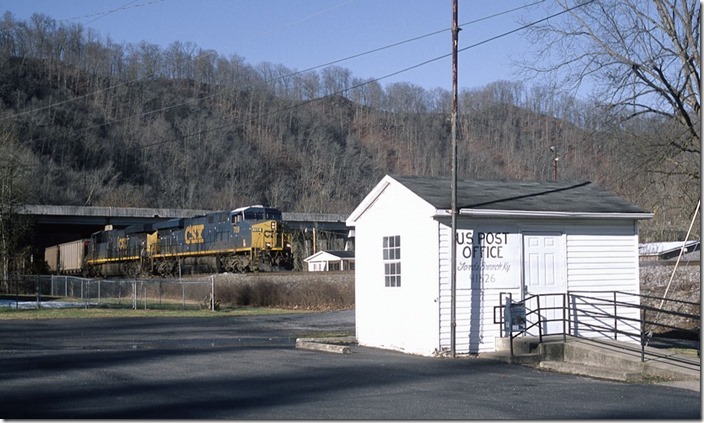 Soon afterward F898 (a Dante-Shelby shifter crew) arrives at the east end with 19 loads of ballast behind SD50s 8516-8639. 7. 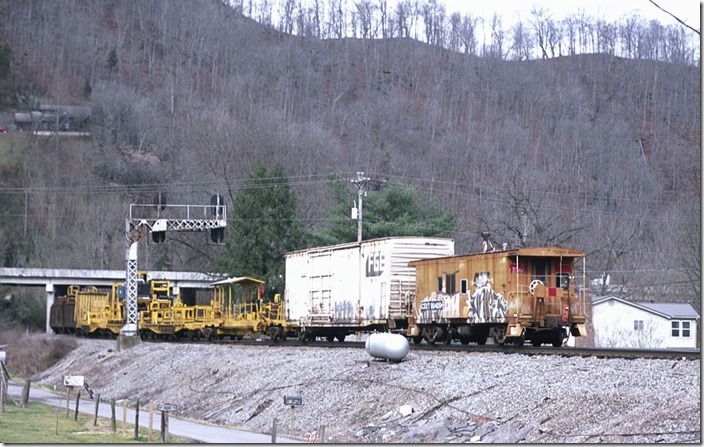 Soon afterward F898 (a Dante-Shelby shifter crew) arrives at the east end with 19 loads of ballast behind SD50s 8516-8639. View 2. 9. 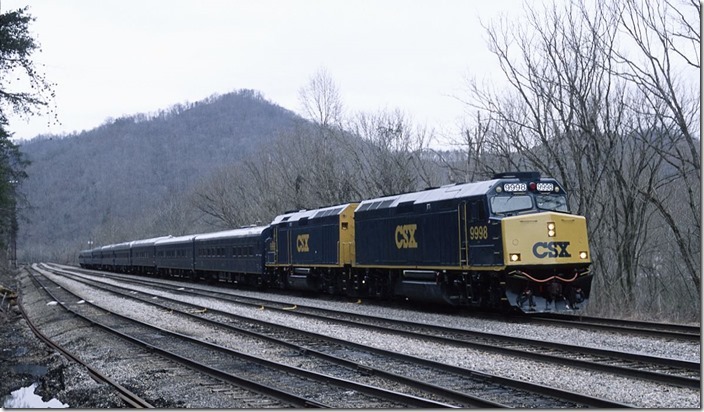 During the annual maintenance shutdown around the miner’s annual vacation and the Fourth Of July holiday, CSX worked extensively upgrading the track and roadbed in Shelby Yard. A surfacing gang works at the east end on 07-06-2013. 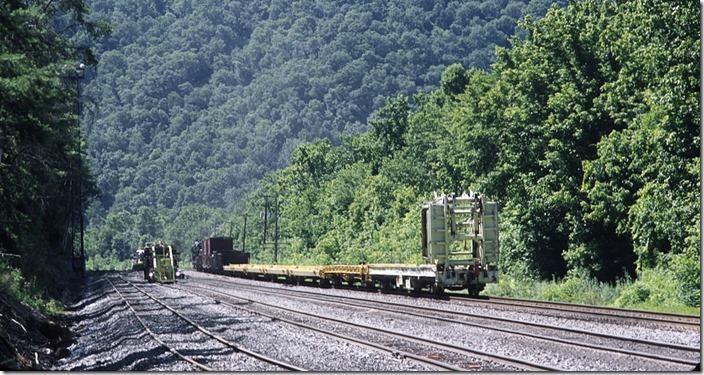 The work train is on the main line. The next two tracks to the left are long tracks 1 and 2. 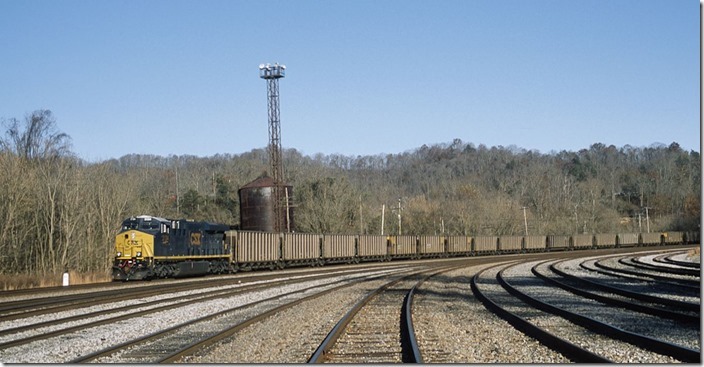 Next to the hill is the Thoroughfare Track that leads down to the other shorter yard tracks. 10. 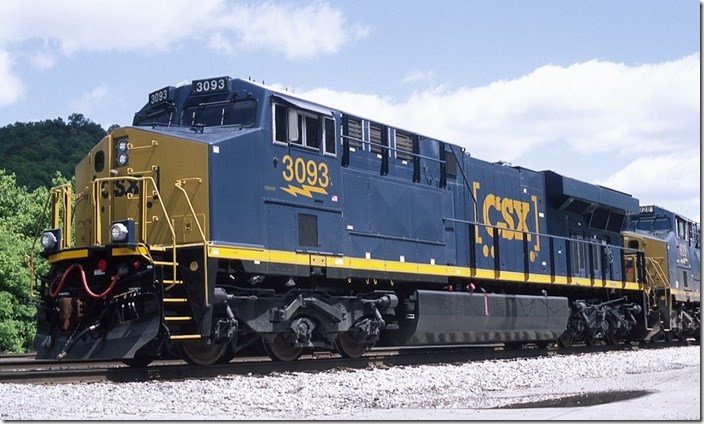 CSX scorpion ramp car 912308 is build by Kershaw. 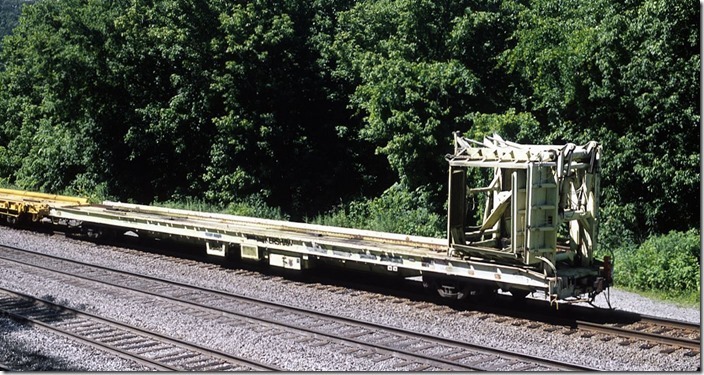 The ramp unfolds like a scorpion's tail allowing track equipment to run up onto the flat cars. 11. 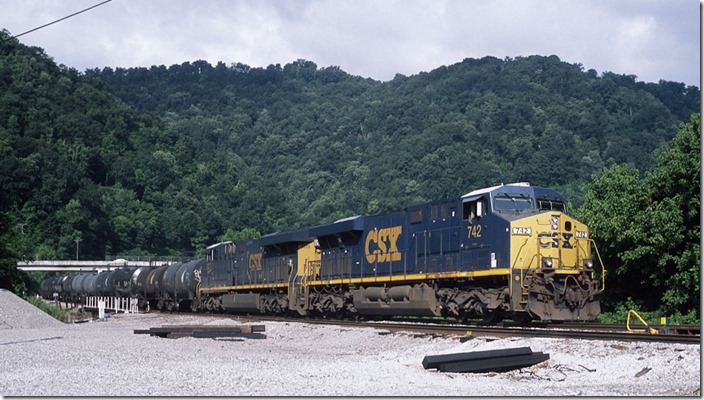 CSX 742-3073 arrives at the west end of Shelby Yard with eastbound K616-17 consisting of 63 tankers loaded with corn syrup. 07-21-2013. 13. 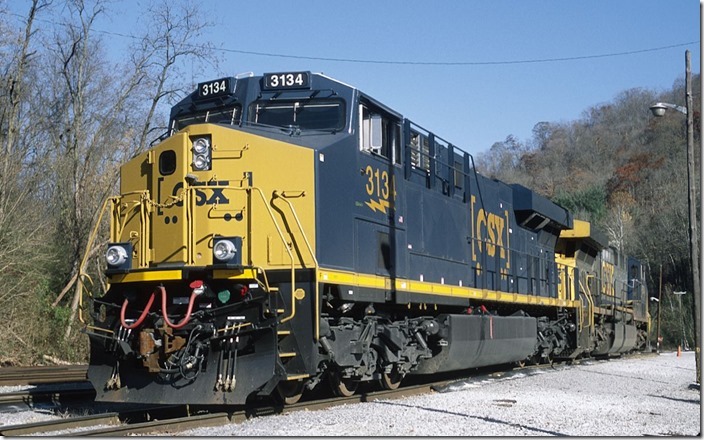 ES44 3131 on 11-14-2013. 14. 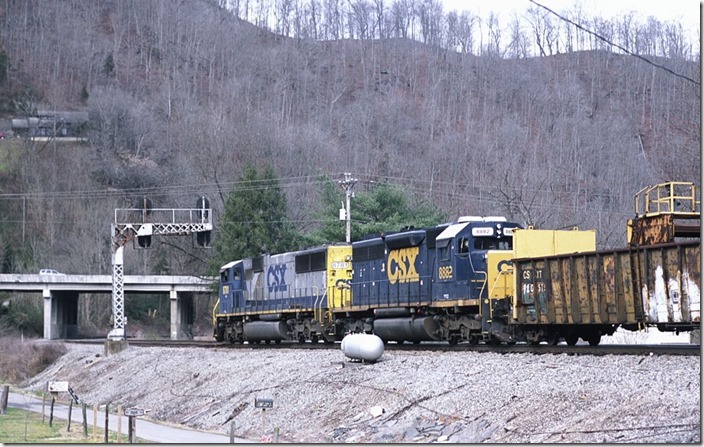 CSX 3134 arrives northbound with V404-14 consisting of 100 DKPX (Duke Energy) empties. 11-14-2013. 16. Rail train W019-18 behind 8781-8882 moves off the switching lead onto No. 2 track at Fords Branch. 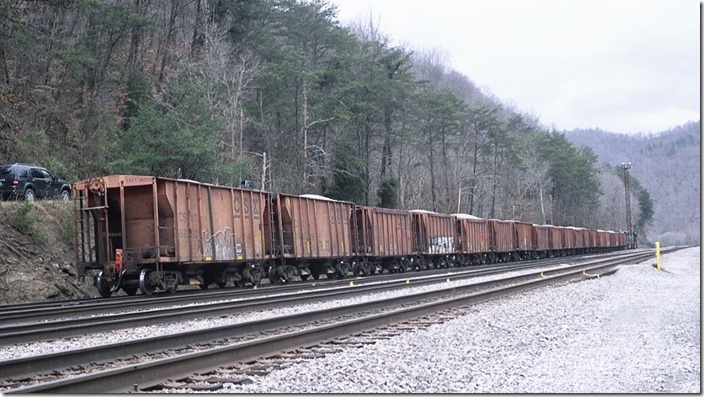 It will dump rail on this afternoon, 12-21-2013, between Betsy Layne and Ivel. 17. 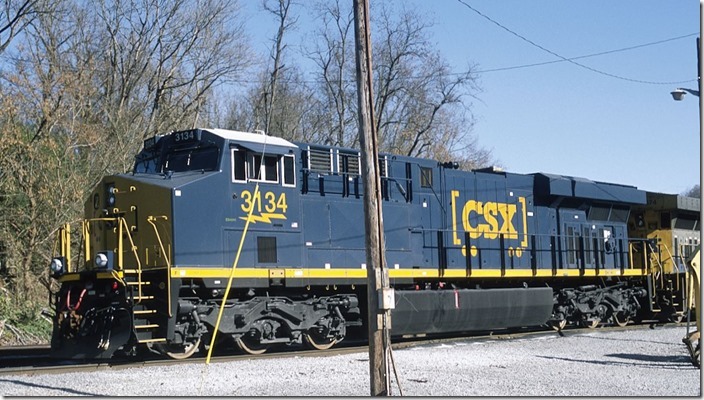 Orange CSX cab 904084 needs repainting. 12-21-2013.